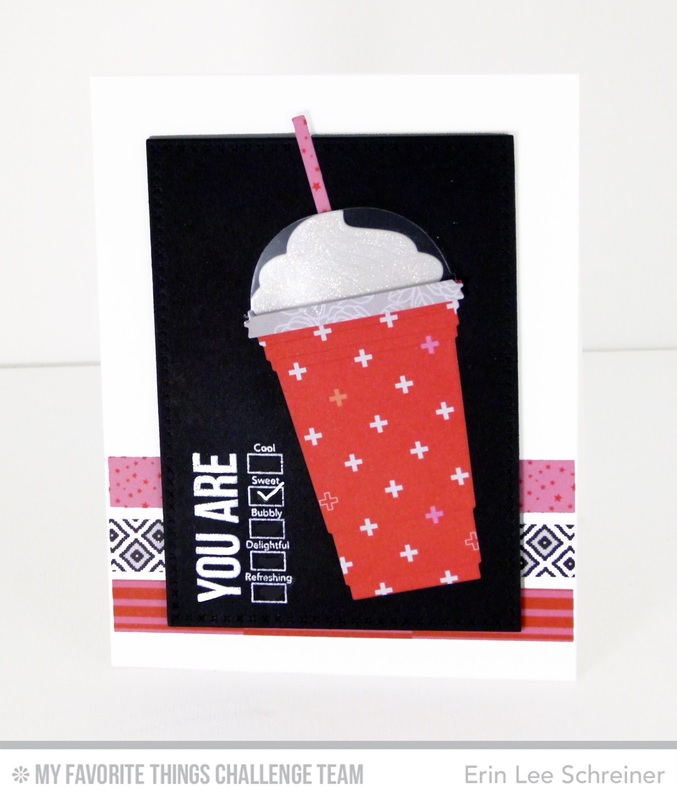 Hey, hey, hey, it’s sketch day over on the Card Challenge Blog! Wanna come play? This week, I took it upon myself to play with the fabulous new products this month. LOVING the new coffee cups! I added some wink of stella to my foam to make it super realistic. Pretty sure it’s time for a coffee treat, no? I love this cup! Love that paper you chose for it! Very cool card! Great mix of patterns! TFS!